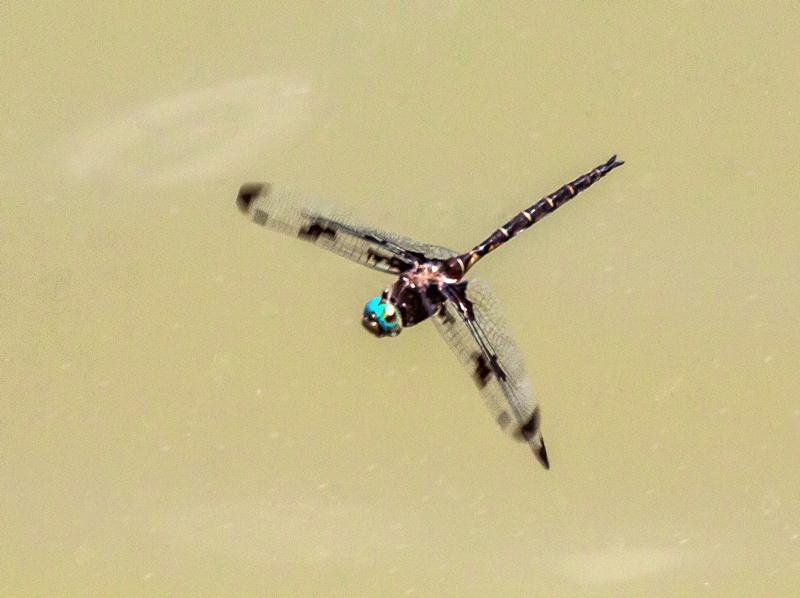 Sometimes I feel like I am living in a mythical world, in an endless pursuit of dragons, dragonflies that is. I am hoping to capture them, but my weapon of choice is not a sword, but a camera and I am seeking only to capture their images. “Mike the Dragonhunter”—I like the sound of that nickname. 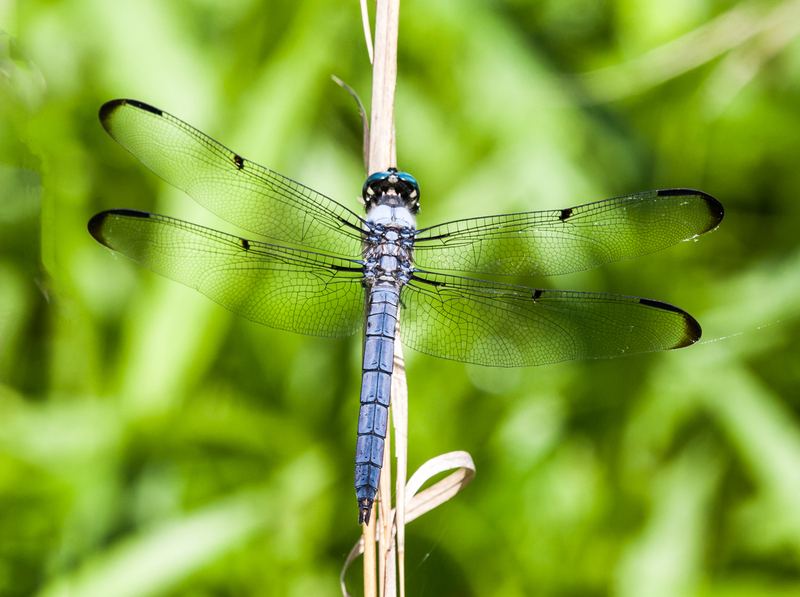 Actually, there is a dragonfly that is called a Dragonhunter (Hagenius brevistylus). 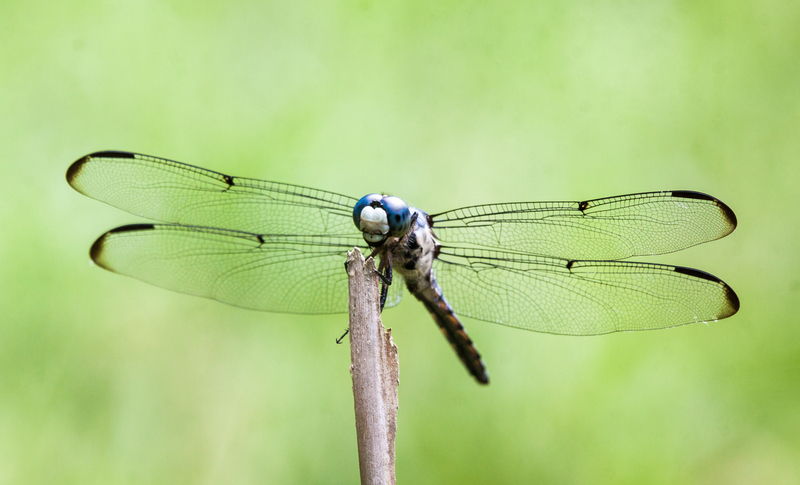 As its name suggests, this monster of the dragonfly world specializes in hunting and consuming other dragonflies. Dragonhunters are huge, about 3.3 inches (84 mm) in length. 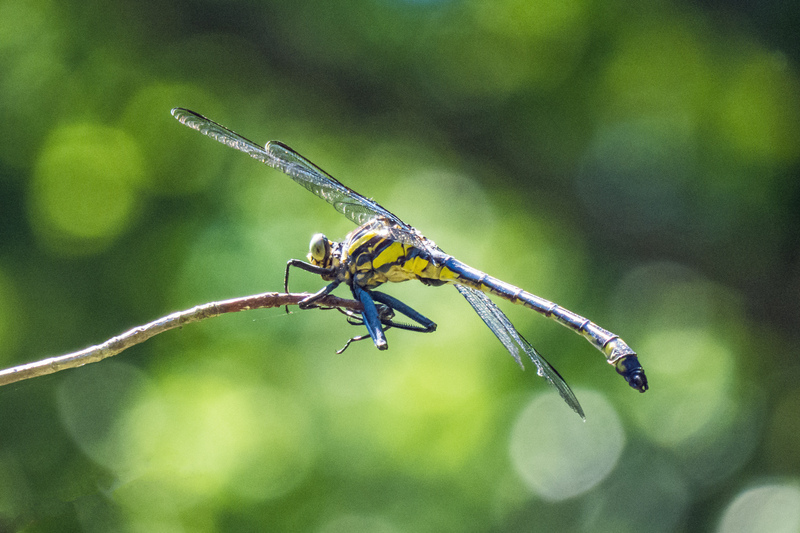 The male Dragonhunter’s clubtail is so large than it hangs down when it is perched and its powerful legs are so long that it looks awkward when it is perching. Previously, I had seen a Dragonhunter only one time and it was from a distance. I had dreamed of encountering one at closer range for years. 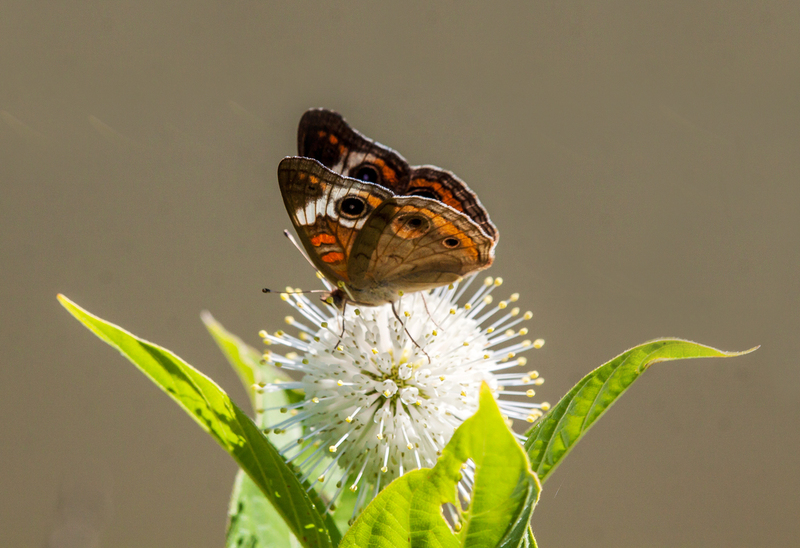 Imagine my surprise on Friday when one zoomed by and perched right in front of me when I was exploring a small pond. I stood still in absolute amazement and think I even forgot to breath—I was afraid to make any sudden moves for fear of scaring off the Dragonhunter. 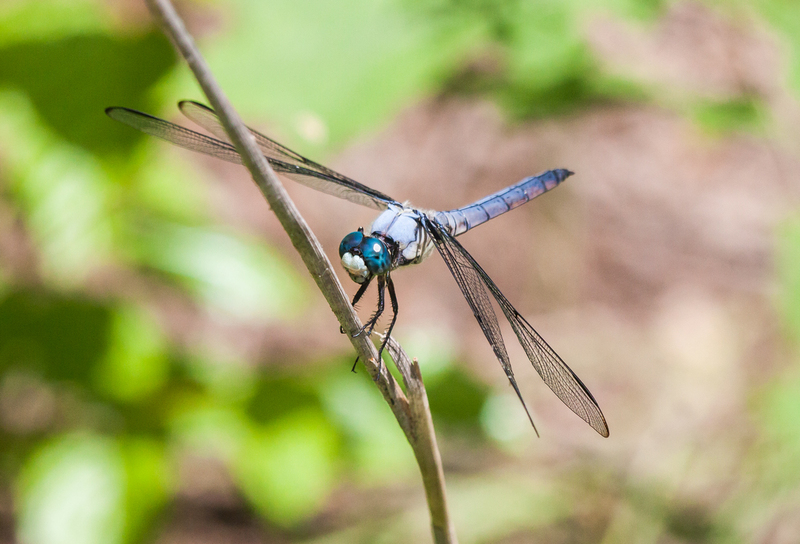 I had a 180 mm macro lens attached to my camera and often it does not let me get close enough to a skittish dragonfly to get a shot. In this case, though, it was a perfect choice and I was able to get some detailed shots from where I was standing. In the shots below, there was only a minor cropping of the image. Wow! It’s almost a dream to fill the frame with a dragonfly. I was totally psyched after this encounter. Little did I realize that I would encounter two more Dragonhunters that same day, but they will be subjects for other blog postings some time soon. It’s a fun challenge to try to capture an image of a dragonfly in flight and I spent a lot of quality time this morning with a Prince Baskettail (Epitheca princeps) at Jackson Miles Abbott Wetland Refuge. Generally he flew patrols in the center of the pond, out of range of my lens (a 180mm macro), but occasionally he would fly tantalizingly close and give me a split second to react. Most of the time I was unable to track him and focus quickly enough, but eventually I did manage get a few relatively sharp photos. This one is my favorite. Most folks can readily identify a Great Blue Heron, but would you recognize a Great Blue Skimmer if you encountered one? 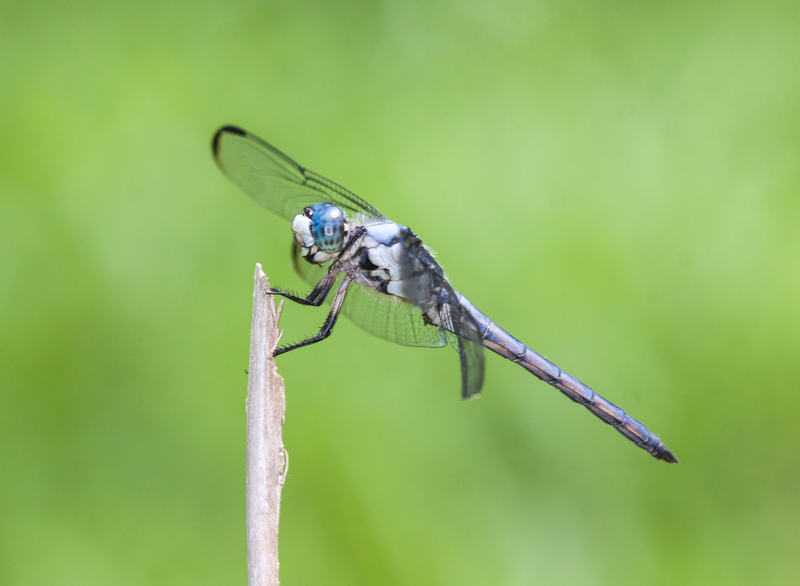 This dragonfly’s wing pattern is fairly distinctive, but I usually look for its beautiful blue eyes and bright white face. 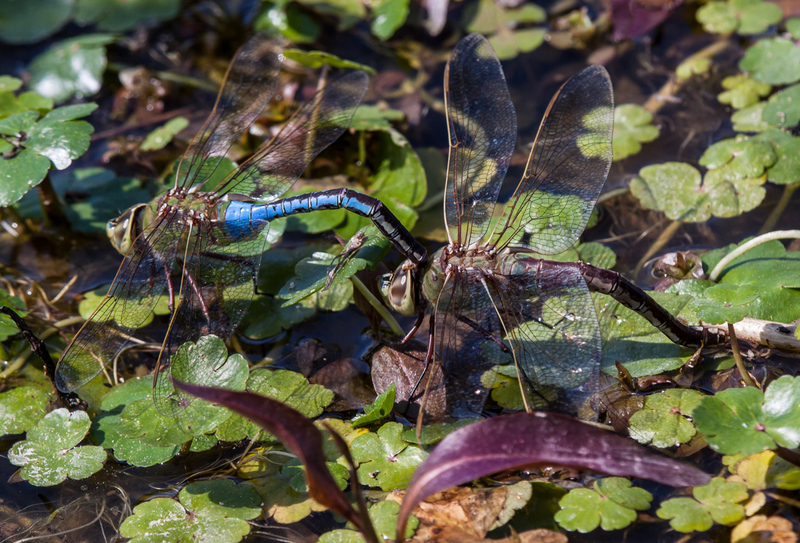 I spotted these male Great Blue Skimmers (Libellula vibrans) on Monday at Huntley Meadows Park in Alexandria, Virginia. 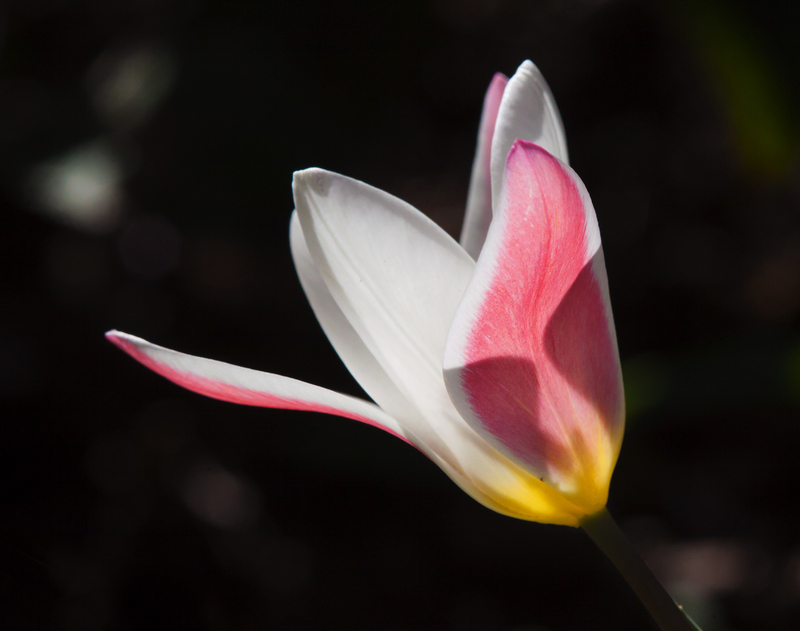 I don’t have my own garden, but my neighbor and fellow photographer Cindy Dyer always has beautiful flowers in her garden, like this Lady Jane tulip (Tulipa clusiana) that I photographed yesterday afternoon with the sunlight streaming in from behind the flower. 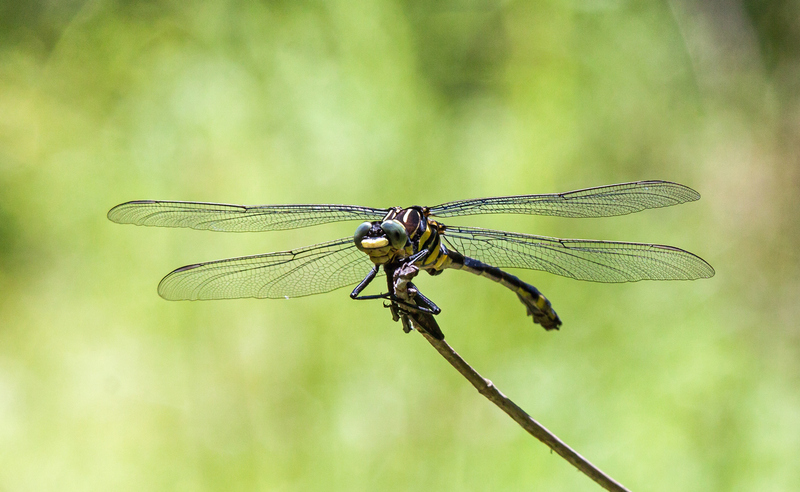 Now that the weather is warming up, I am searching in earnest for dragonflies, one of my favorite subjects to photograph. 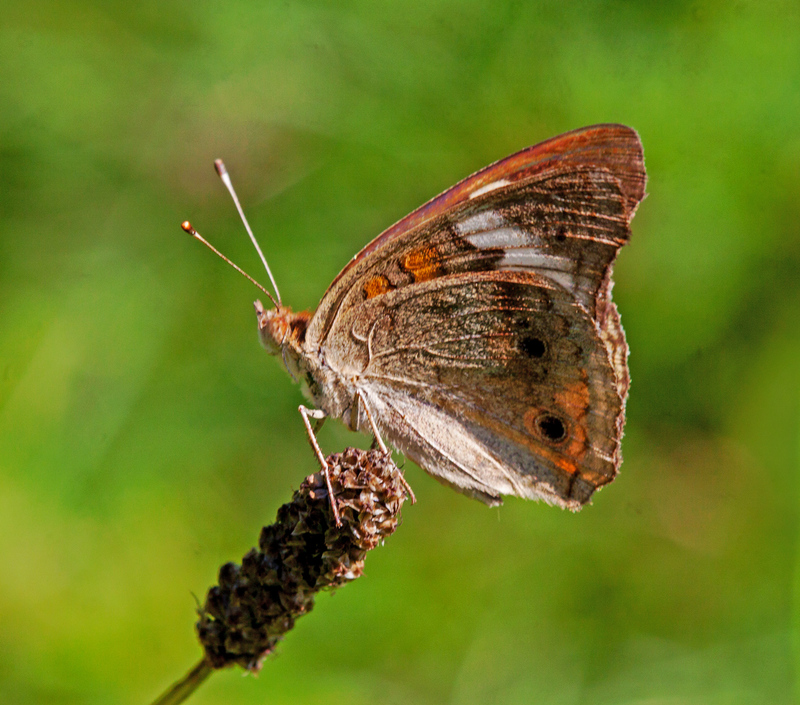 I am still having difficulties locating native-born species, but fortunately there are some migratory species in the area. 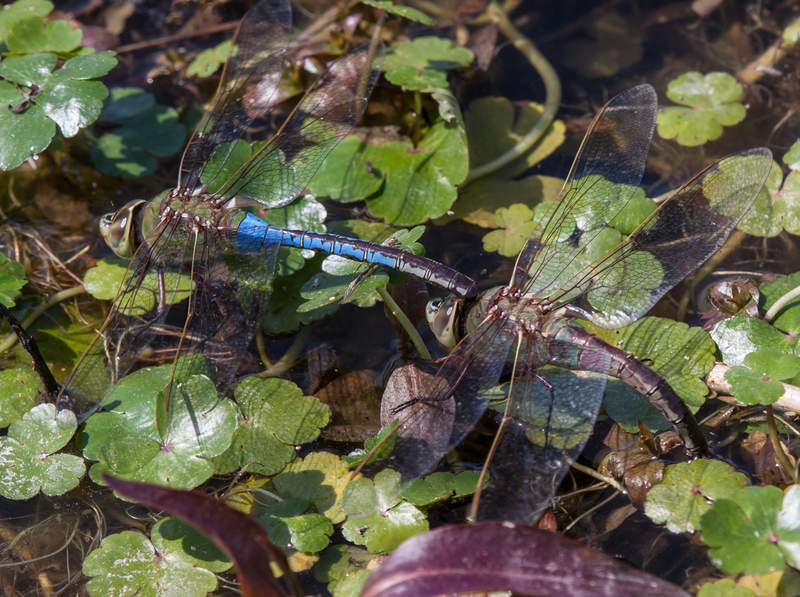 Yesterday I spotted this Common Green Darner (Anax junius) dragonfly couple in tandem, with the male holding on as the female deposited her eggs in the floating vegetation. In some dragonfly species the male will hover above the female as she oviposits, but in others, like the Common Green Darner, the male remains attached. 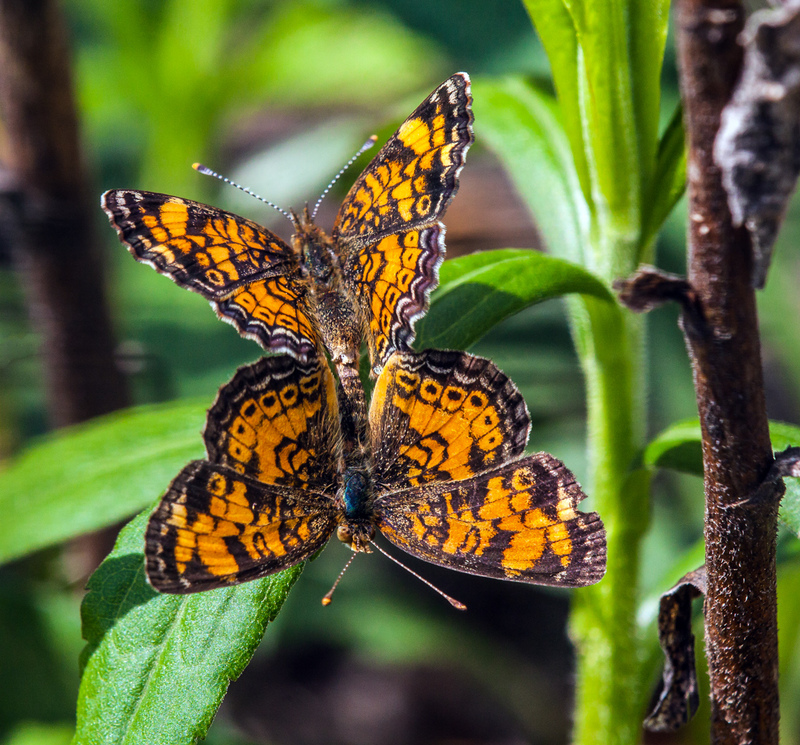 I suspect that this method is one way of ensuring that the eggs that the male has fertilized are deposited before the female hooks up with another male.